When it comes to holstering your weapon, it’s important to ensure the holster you buy is of good quality. Gun holsters aren’t products you should buy from individuals on craft-like marketplaces. You want to have confidence that they’re the highest quality. Below we have listed the top seven gun holster manufacturers based on quality and safety. Galco Gunleather had its beginnings in 1969, founded by Richard N. Gallagher. It was a small family business in Chicago, Illinois. In the beginning, Gallagher specialized in holsters made of horsehide. The business was originally called “The Famous Jackass Leather Company”. In 1980, they changed the name to Galco, and in 1983, they moved to Phoenix, Arizona. The small family business grew as more people discovered the high quality holsters they make. Galco’s massive success with the Jackass shoulder system helped them become one of the best gun holster manufacturers. Several of their holsters have been used in the making of Hollywood films and TV shows. The Jackass shoulder system was worn by actors in “Miami Vice”. Galco offers a wide variety of holsters, including ankle, IWB, appendix carry, pocket, shoulder, and more. Other products they manufacture are belts, slings, handbags, and leather maintenance products. Alien Gear Holsters made a name for themselves by offering to exchange a customer’s Kydex holster free of charge when their concealed carry arsenal changes. 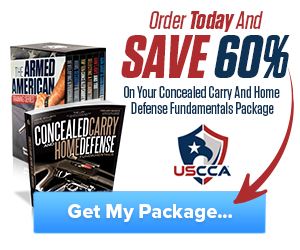 They specialize in concealed carry holsters for both inside and outside the waistband. Although they’re new to the business (2013), Alien Gear Holsters quickly became considered one of the top holster manufacturers. All of their holsters come with a forever warranty. Regardless of why a customer’s holster breaks, Alien Gear Holsters repairs or replaces it free of charge. Mark Craighead founded CrossBreed Holsters in 2005. His father sparked his interest in firearms from a young age. Craighead was an avid shooter and went deeper in his learning about holsters than the average gun owner. Using what he learned about what didn’t work about holsters he had experience with, Craighead designed his first line of gun holsters. Within a few years, the holsters gained enough popularity to deem CrossBreed Holsters as one of the best gun holster manufacturers. Their holsters hold great quality and functionality. In contrast to many other holster manufacturers, CrossBreed Holster hand makes all of their holsters. And every craftsman receives personal training from Craighead. Types of holsters you’ll find at CrossBreed Holsters include IWB, OWB, ankle, and pocket. 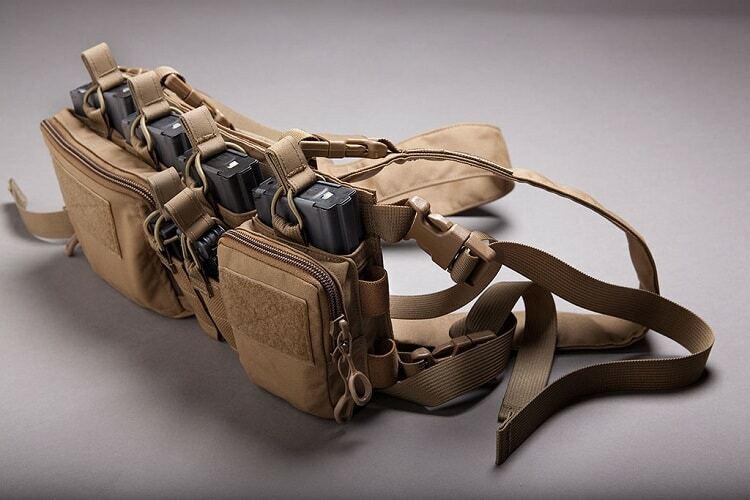 The holster manufacturer also sells modular systems, such as purse defender, bedside backup, last ditch, and pac mat. Bravo Concealment products are made in the USA. The manufacturer has over 100,000 happy customers. 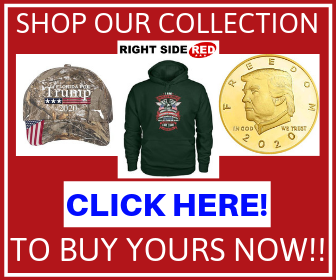 They offer free shipping, a 30-day money back guarantee, and a lifetime warranty. Bravo Concealment manufactures concealment holsters with high quality materials for concealability and durability. Kydex, a superior form of thermoforming plastic, is one of the materials they use. This material is thin, yet durable. Haley Strategic is one of the best gun holster manufacturers because their CEO has 15 years of real world experience as a Marine. He went on combat tours through the Middle East, Central Asia, and Africa during his time as a Marine. Travis Haley, the CEO, has insight on what makes a long-lasting, safe holster. 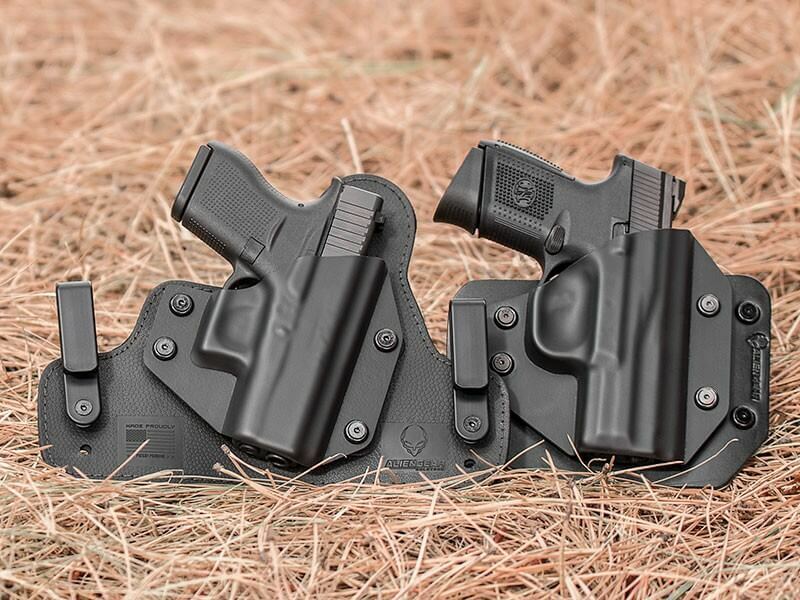 Examples of holsters they sell are the Disruptive Environments Carrier, Incog Shadow Eclipse XC-1E, and The Incog IWB Holster. Other products they manufacture include chest rigs, handgun accessories, rifle accessories, illumination tools, and packs and bags. His gun holsters were a hit, leading his company to become one of the top holster manufacturers. Tagua has been in business for over 10 years. 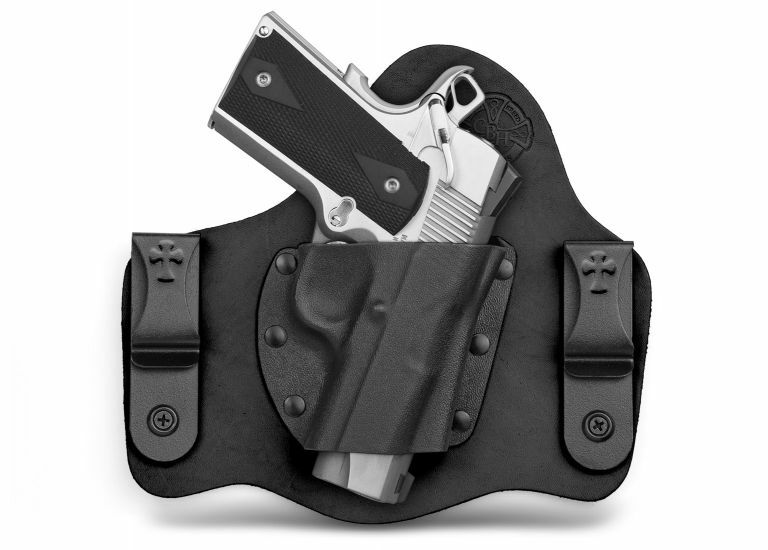 They are a top gun holster manufacturer that’s committed to durability and quality. Tagua only uses 100% real cowhide leather to handcraft their leather products. The manufacturer is a socially responsible company as well, an important quality many consumers look for in a business. Tagua includes a lifetime warranty with their products. In addition to gun holsters, they sell ammunition carriers, holster shirts, and hunting accessories. Types of holsters you’ll find at Tagua include crossdraw, paddle, shoulder, ankle, IWB, and pocket. SafariLand is a holster manufacturer that lives by excellence, tradition, and legacy. They embrace their history and deliver on promises. The company’s products are suitable for military, law enforcement, and hunters. Neale Perkins started the company in 1964, inspired by his father’s request for a custom gun holster. The first holster was a hit within a few months, making his new business successful. Additional products SafariLand sells include body armor, body-worn cameras, hearing protection, and forensic equipment. The seven manufacturers listed above create some of the best gun holsters in the world. Their products are top quality, safe, and unique in the market. Although you may pay more for one of these gun holsters, they last long and often come with lifetime warranties. 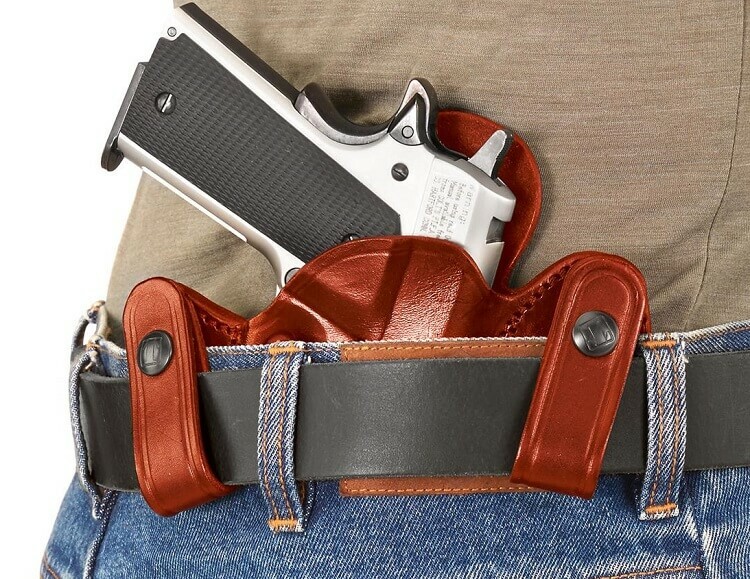 Do you have a favorite gun holster manufacturer? Like any of the brands on this list? Let us know in the comments below. Hey Buddy!, I found this information for you: "7 Best Gun Holster Manufacturers for Top Quality Products". Here is the website link: https://thegunrights.com/gun-holster-manufacturers/. Thank you.